Property clinic: Local authorities keen to stop units being used as separate dwellings. I’m thinking of building a “granny flat” in my yard for my mother. The dimensions would be about 9m by 6m – from a timber frame house with a concrete board and a waterproof finish on it. I’m just wondering if I would have to apply for planning permission to do this as it will be visible at the front from the road. I live in Co Wexford. The provision of a granny flat is becoming an increasingly popular solution in terms of the provision of additional accommodation. In these times of housing shortages, the ready availability of services, parking, electricity, water and waste supply make this a very convenient way of providing housing. The sociological benefits of proximity and support of family members is well documented. 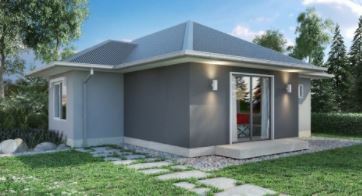 However, because a granny flat is regarded as an additional housing unit, it is therefore deemed “development” under the planning and development Acts. This means it requires planning permission. As this type of development is specifically aimed at housing a family member, there are certain restrictions imposed by planning authorities in order to maintain adequate control. Specifically, the new unit must be formed by the conversion of an existing part of the dwelling or by the provision of an extension that is physically connected to the original dwelling house. If an extension is to be provided, finishes will need to match the dwelling house. Most local authorities make a condition of planning permission that the flat reverts to use by the original house if the granny flat element is no longer being used by a family member. In your case, you hope to build a granny flat of 54sq m. An extension or stand-alone building of this size would require planning permission in its own right. You had hoped to provide a separate, self-contained unit. In my experience, this type of development is unlikely to be permitted. A stand-alone building will not meet the basic criteria of being fully integrated with the existing. Local authorities do not permit this type of “detached” development as they are keen to prevent the units from being used as a separate “dwelling house” in the event that the granny flat is no longer required. The extent of open space, car parking and the like differs for a dwelling house. Separate drainage, water and electricity connections would also be required. Impact on amenities of adjoining properties is also a consideration. You should approach your local chartered building surveyor to have your house reviewed and assessed as to the best approach for the provision of a new granny flat. They will be familiar with any additional limitations or restrictions that may be imposed by the development plan in your area. Got a query? Send your queries to propertyquestions@irishtimes.com or to Property Clinic, The Irish Times, 24-28 Tara Street, Dublin 2. This column is a readers’ service.